From Les Mosses, this itinerary offers a wonderful hike to the kingdom of Lake Lioson, the emerald pearl of the Alpine lakes. The itinerary leads to the summit of Pic Chaussy where hikers can enjoy an unrestricted view of the Alps of the Lake Geneva Region. Also, stop and watch how cheese is made. Starting at Col des Mosses, this hike ascends to «Lioson d'En-Bas», where you can visit the Alpine cheese dairy, and then up to «Vers les Lacs» (refreshment stall). This hike, whose main attraction is Lake Lioson, first leads to Pic Chaussy which is reputed for its unrestricted view of the Alps of the Lake Geneva Region. Ibex and marmots delight passers-by as well. On coming back down from Pic Chaussy, don't miss the emerald pearl of Alpine lakes - Lake Lioson - whose emerald colour is created by the surrounding mountains reflected in the water. Snacks possible. In summer there are farm animals for the delight of children and adults. 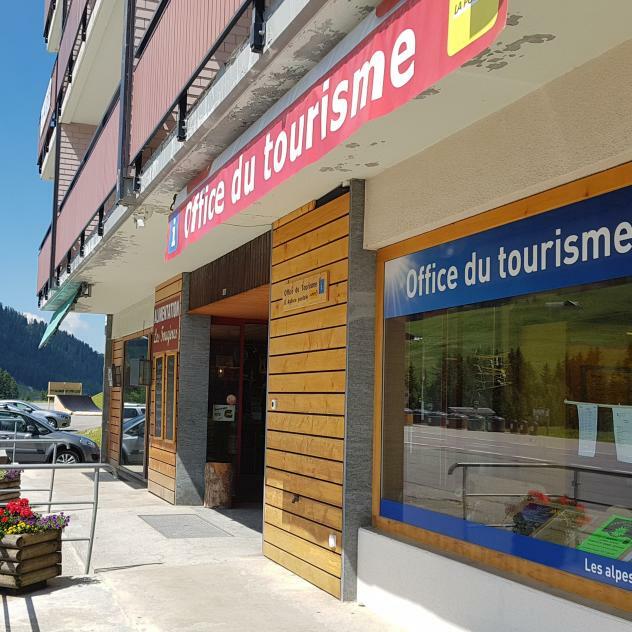 Signalization: The departure point of this itinerary is located 20 metres from the tourist office at Col des Mosses. Follow the signs Lioson d'En-Bas/Vers-les-Lacs. On arrival at Lioson d'En-Bas, turn right towards Pic Chaussy. After reaching the peak, walk back down via Lake Lioson towards Les Mosses. Season: Caution: snow possible on Pic Chaussy until summer. Hint: The itinerary can be shortened (one hour less) by driving and parking your vehicle at Lioson d'En-Bas. Lioson Lake, high above Col des Mosses, well deserves its label as « pearl of the alpine lakes ». The Lioson Lake Restaurant provides a veritable gourmet interlude, basking in the reflection of the emerald waters of this regional natural wonder. A final destination for a family hike, it also serves as a tasty stopover on a longer itinerary. Lake Lioson wears its name « pearl of the alpine lakes » to a tee. The ultimate destination for a family hike or a place to rest before climbing the surrounding summits, its emerald coloured waters both seduce and inspire visiting hikers to relax. The recipe for a successful hike needs no more than a stopover at the Petits Lacs Café above Col des Mosses. 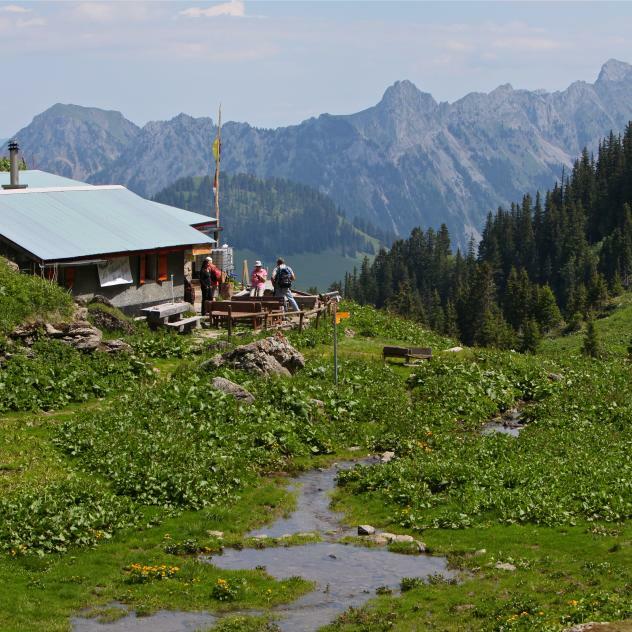 Accessible for a family walk or before attempting the climb up to Pic Chaussy, the café offers an enchanting setting in the heart of the mountains.